Quick small tale from the future about ancestry, handball and musk. A 2v2 mech strategy game for two players. Inspired by Gundam Versus, for UGBJ. 2-Player competitive eating game, made for Ludum Dare 34. A two-player co-op buddy cop text adventure. Small Twine game I made sometime back, based on my all-time favorite Gunshow Comic. A Game By Its Cover 2017 community · Created a new topic Q: Does Winnitron use credits/tokens of any kind? I'm designing my arcade quiz game for the Winnitron in mind, but I wasn't sure if there was any sort of way to add credits of some sort. This is fine, I was mostly interested cause that'd be fun to incorporate and make it as authentic an arcade experience as possible. Yeah, I wanted to give a proper tutorial/guide for it, but ran out of time. I hope to go back to this and at least make it a complete experience. Thank you for the note about the Windows version! Will fix ASAP. The Unofficial Gameboy Jam community · Posted in Last Minute Submission! Seems Unity's having issues with WebGL hosting right now, so I currently can't upload a web-player version of my game. Here's Windows & Mac executable versions of them though. The Unofficial Gameboy Jam community · Created a new topic Last Minute Submission! Sorry! My current submission is empty, but there will be a submission for sure in a second. Wanted to at least post something here in case UK_resistant or players were confused. Once uploaded, I'll make a post mortem of my time making it here. #LOWREZJAM 2017 community » General Chat · Posted in Should the Authenticity category remain next year? Completely agree. I think maybe having a section for the person entering to say/respond on how their game fits into the authenticity of the jam would be better, but getting rid of it altogether would work as well too. I never got into games like Desert Strike and the like, but this one clicked for me somehow. It's really great, although the helicopter blade sound got a bit grating the more I played. Definitely one I'd go back to after the jam too! Love the look of it, especially the colors/shadow in the sunset beach! Only thing off for me was the sound being too loud to be 'calming' + the scoring felt a bit weird,, with floats n' all. Yes, there is. The text, in retrospect, is hard to read. It says "Release Z for a burst of speed." Thank you for the compliments though! I'm glad I was able to nail down the feel well. Understood! I put a little info tab under the Title Screen, but that's both not initially easy to notice, and the font used there isn't really the best option. Unless you mean there was something confusing about using it in game...? Main thing to note is that I totally ended up skipping the diving mechanic. I feel like after a small break away from this, I will likely work on it some more, but building the diving and designing obstacles around it would take too long. I also even changed how water boosting worked - instead you now just charge your boost as you move and it releases when you let go of the gas. The largest issue I had with it is making the mechanic something worth using (regular driving was always quicker) but also not intrusive. I think this is a good push/pull mechanic that could maybe use tweaking in the future, but works for now! All new assets everywhere! A friend assisted with making the submarine, but the rest I made in a quick pinch. I wanted to learn Bosca Ceoil for this, but something about music making easily gets me frustrated so that ended up being a bust. New track! This was a weird combined effort between Photoshop and Illustrator, but I like the result. Plus it was a fairly straightforward process that worked great - albeit the textures don't blend super seamlessly. Definitely play some and let me know what I can fix! I hopefully will be able to get some quick bugfixing and adding done tonight, after some Sonic Mania of course! 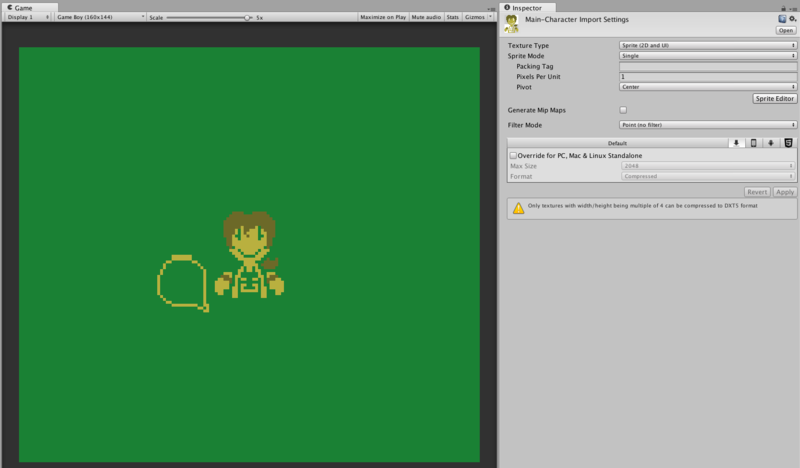 Once again - going slower than I'd like, but I'm aiming to finish and have a basic playable thing by Monday, so I can worry about the bugfixing and extra smaller things Tuesday night. I did also add the diving to this, but there's not really anything to test it on just yet, so eventually! Thank you! I've wanted to make a FZero-like for the longest, but if anything this is fueled by my desire to figure out how to make something similar to Outrun. Didn't get a chance to work on things yesterday, so I tried to power through a bunch of smaller things I knew I wanted to do before I went to sleep. I spent most of the time trying to get proper lap times as well as best lap time working correctly. After that, I spent a bit of time getting 'simulated' terrain working, as well as adding a small bobbing animation for when I eventually get a submarine sprite in there. I say 'simulated', as since I couldn't have 3D terrain working with my current setup, I'm modifying the values using a terrain class and that heatmap I made earlier. Most of that is shown in some way in the GIF below! Here's a proper video of how the lap times work. It ended up being way easier than I expected, but I had to get around confusing myself with a bunch of values. This video's a bit older than the GIF so it doesn't have any of the terrain or bobbing stuff. That menu navigation is so clean, I love it! What kind of monsters or animals are you thinking of adding next? Okay, so I didn't stop for the day and made that quick checkpoint fix. 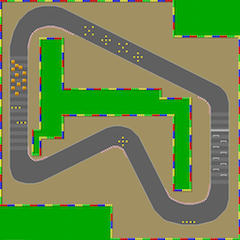 Tomorrow: Lap times, race times, GUI stuff then hopefully to more theme fixing! That was all done in the last 3-4ish days. Today was relatively less nerve-wracking than that - at least it didn't involve me scrapping a Unity project cause of code frustrations. 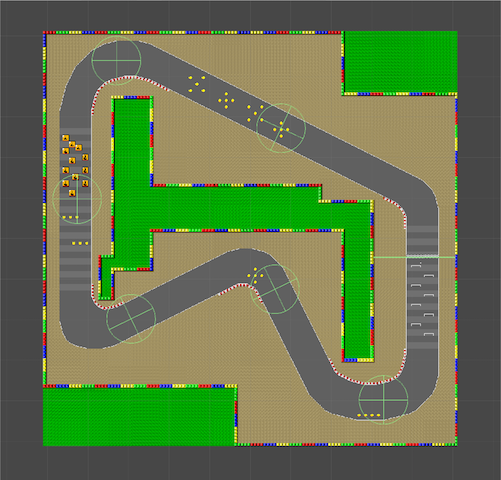 I focused mainly on getting a nicely working Checkpoint and Lap system in place - I think my current goal for considering myself at least 'done' is 3 levels with a time trial setup. 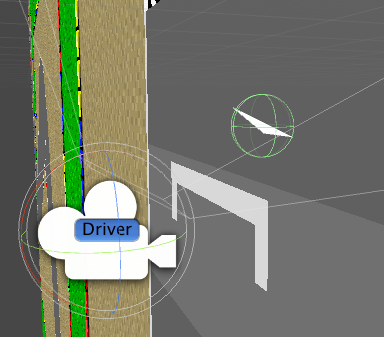 Here's some views of my checkpoints - basically having colliders as triggers and an animating flag with a border around it (done using a circle sprite and circle sprite mask, easier than I expected) for iconography. I also decided to have the user see what's the next checkpoint to go to via having it slowly fade in based on how close you are. 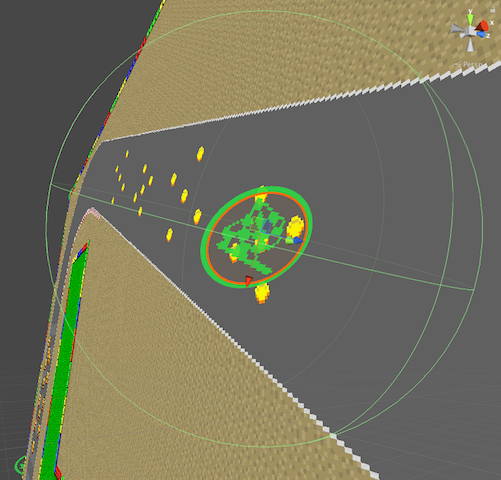 I think it looks pretty good - save for the instant going away once you touch the collider. 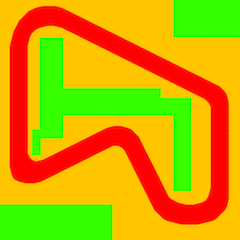 I'll probably change it to turning Yellow until you finish a lap, but that might not be tonight. Tomorrow will likely be that + setting up lap times and total time. As for theme, I'm thinking instead of a future racer, I'm going to make it a submarine racer. The main mechanic being toying with being above water vs underwater, and the advantages/disadvantages those can give. Things I'm thinking about are like moss or weeds on the water surface you can dive under for shortcuts, but will slow you down. So I didn't get to properly finish my game for last year's LOWREZJAM, which put me into full on determination mode this time. My starting idea was to make a type of racer that used sprites in 3D space - not exactly the same but similar looking to things like Outrun, Super Hang-ON and specifically F-Zero. 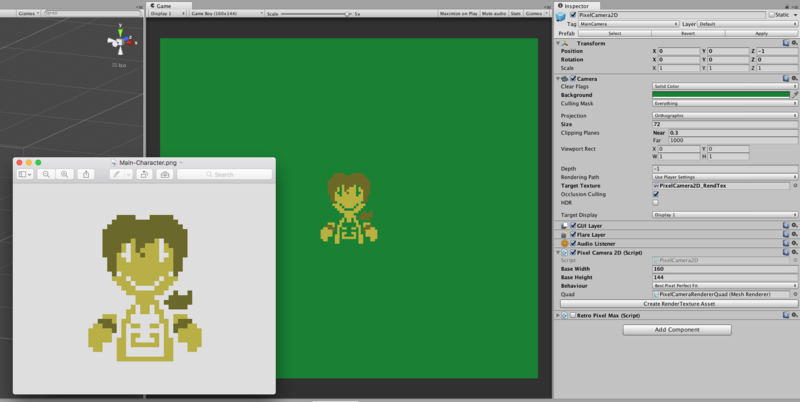 I don't know how to exactly how to code things similar to Super Scaler and Mode-7 tech, so I'm going to work with a mixture of 2D and 3D Unity tech to (hopefully) get the look and feel I want. Test 1. 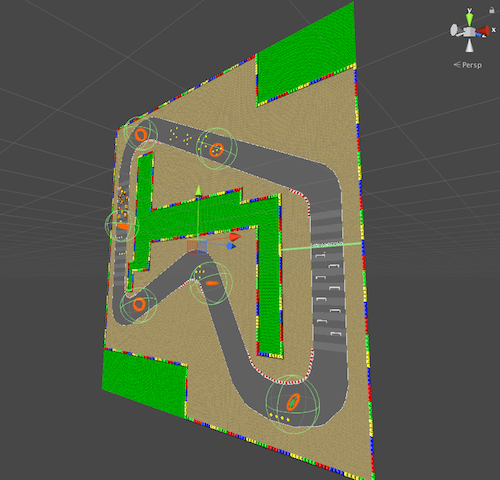 This is of course using a test track (Mario Circuit from Super Mario Kart), but the general look is what I'm going for. It does also show that a LOT of detail gets lost, so I will likely have to use a super simplified coloring and sprite style to make sure things look clear and interesting. I'm actually having a similar problem as well, although my PPU is set to 1, and my Ortho Camera Size is at 72. Mine is somewhat less severe, as it seems to be only chopping off the bottom row of pixels, but it's still an odd issue. Random Game Idea: A collect-a-thon game where you are forced to battle against electricity. Idea: A game where you explore an abandoned building taken over by nature. Of course none of the electricity in the place works, but that's little issue for you and your lantern - one that can store the tiny traces of electricity you can find. As you explore the area, you also find various mementos from people who once lived here. This is actually something I'm surprised wasn't there from the start. It's very easy for me (and I assume others) to join a game jam a week or month in advance eagerly, get caught up in work or other issues, and forget to add the jam to their plans when it sneaks up. I think in addition to showing what jams you've currently joined, a quick "Add to Google Calendar/iCal" button by them, as well as a link to the Jam page of course, would be immensely helpful, as it'd give most people a quick way to add it to their schedule! #screensaverjam community · Posted in So what are you going to make/would like to see?